A mix and match book for younger readers, the pages of this book are divided in two. By turning the pages, the reader tries to match up one half of an animal with the correct matching part. Some interesting combinations make the book fun as well as revealing a world full of wonderful creatures that God has made. Mix and Match Animals by Sally Ann Wright was published by Sarah Grace Publishing in January 2017 and is our 5896th best seller. 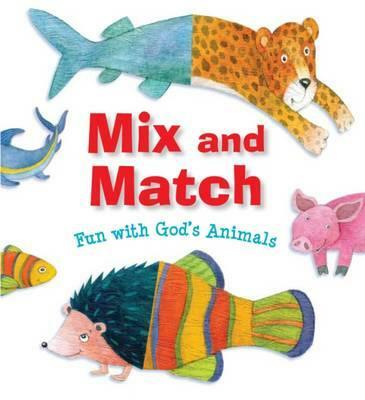 The ISBN for Mix and Match Animals is 9781910786598. Be the first to review Mix and Match Animals! Got a question? No problem! Just click here to ask us about Mix and Match Animals.